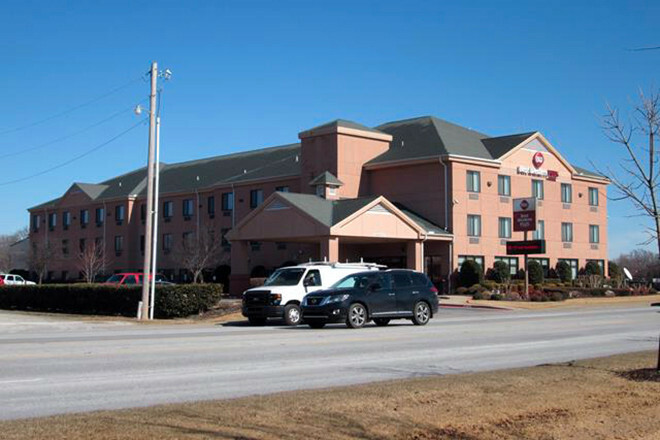 Beechwood Hospitality of Little Rock is seeking to foreclose on a Bentonville hotel it sold to a group of investors in 2016. Beechwood, led by Wally Allen and his sons, Blair and Matthew, bought the Best Western Castlerock on SE Walton Boulevard for $5.4 million in April 2016. It was among a portfolio Beechwood bought that included two other Bentonville hotels on Walton: the Doubletree hotel for $19 million and the Hilton Garden Inn for $11.8 million. Five months later, it sold the 83-room Best Western hotel for $4.2 million to Silver Hospitality, led by Janak Patel of Bentonville. Beechwood, through its Castlerock Lodging LLC subsidiary, loaned the buyers $1.1 million to assist with the purchase. In a suit filed in Benton County Circuit Court by attorney Kael Bowling of Friday Eldredge & Clark in Fayetteville, Beechwood alleges that Silver has defaulted on its loan. The defendants are Silver and individual guarantors Janak Patel, Gopalkrishna Patel of Bentonville, Ambarish Patel of Anaheim, California, and Archana Patel of Jonesboro. The suit said the mortgage’s balloon payment was due March 12. Beechwood sent letters to Silver and the Patels to no avail, the suit said. Beechwood alleges that Silver and the Patels owe slightly more than $1 million, which includes the principal, interest and attorneys’ fees.